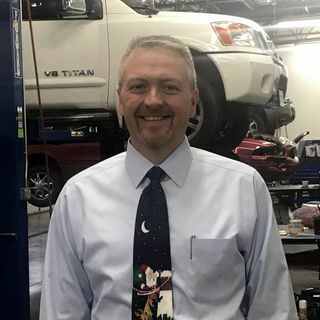 Tony Adams, Vice President of Operations at Weavers Auto Center in Shawnee, KS, has an inspiring story about change and leadership. Listening to stories like Tony’s, who have achieved success while toughing through challenges and learning from mistakes, can build strength in all who listen. Tony admits to what all good leaders know; admit your mistakes, learn from them and move forward. It builds strong leadership. He shares his very transparent story. You’ll either ... Maggiori informazioni relate to it or learn from it. We all will experience a story like Tony’s at least once in our lives. Never stop learning and build a fire under your team to serve the customer.